The colour scheme for this mani was inspired by a WAH Nails post I saw on Instagram. The colours are bright, bold and perfect for this time of year. Bringing a single extra colour into a monochrome mani helps to brighten it up a bit and adds a little twist. WAH added a jazzy pattern to their nails, but I chose to stick with a uniform dot pattern. I find the simplicity of dots beautiful and they are so easy to do. 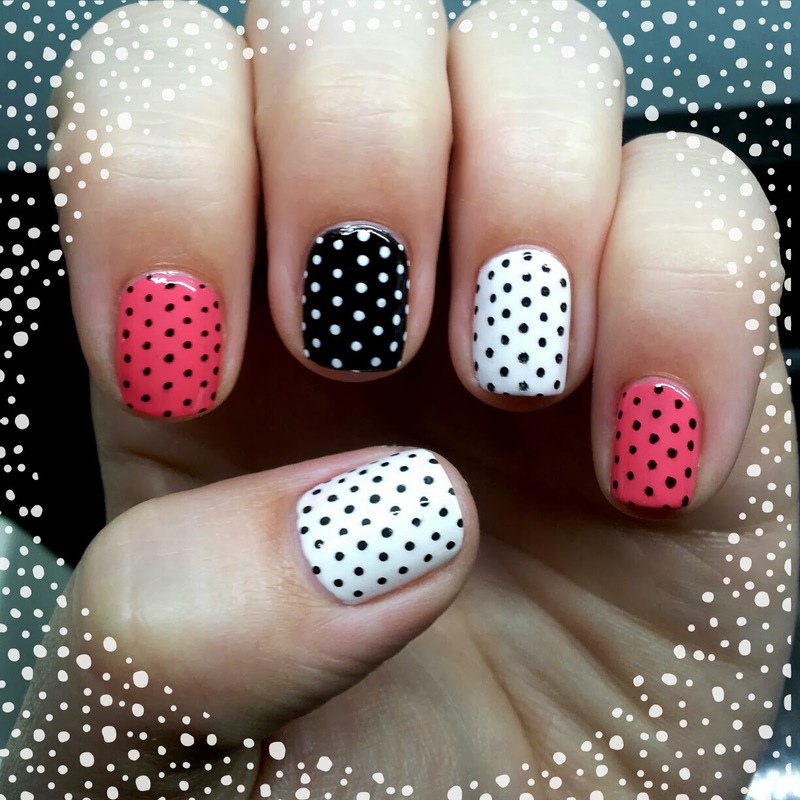 I used black and white Barry M nail art pens to do these dots, but you can use any type of pen, a dotting tool, or even just a toothpick!! The polishes used here are all Barry M - Black, Matt White and Gelly Pink.